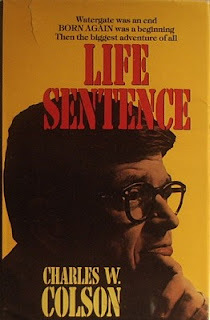 I was too young to be much impacted by the “Nixon’s hatchet man” version of Charles Colson. By the time I was paying attention, that man had been indicted and sent to prison for obstruction of justice, and had since emerged from the experience as a believer in Jesus who had already written three books. It was the first of these books, Born Again, which grabbed the attention of a teenager in Santa Cruz, California, who was just coming to grips with his new faith in Christ. 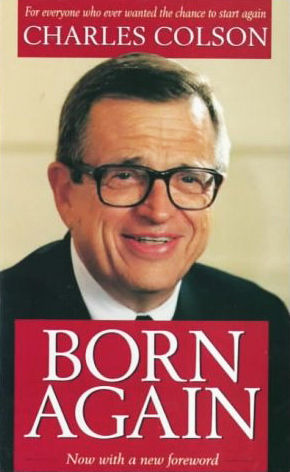 Colson’s memoir may have been a decade old by the time I was paying attention, but for me it not only provided a guide toward understanding the redemptive awakening that was going on inside me, but also helped me to form a more solid intellectual and philosophical underpinning for this belief. Colson’s conversion was treated with skepticism and even ridicule by many during the mid-70s, much as the Apostle Paul’s was in the early church. Frankly, it all seemed just too sudden and convenient, and many suspected Colson of attempting to manipulate public opinion to help save his sorry hindquarters from the wrath of the post-Watergate reckoning that was unfolding. But, to quote the venerable historian Mr. Wikipedia, “Colson's mid-life conversion to Christianity sparked a radical life change that lasted the remainder of his life.” In other words, Charles Wendell Colson was acting like a radical new Christian because he was a radical new Christian. Before his conversion to Christianity, Colson was described as an aggressive political mastermind who drank heavily, chain smoked, and smeared opponents. He served as special counsel to President Richard Nixon from 1969 to 1973 before he was indicted on Watergate-related charges, which led to a 7-month prison term. After his conversion experience, he published Born Again, helping popularize the term many evangelicals use to self-identify. Colson’s public commitment to his faith drew initial skepticism from those who wondered whether he was attempting to profit from a conversion narrative. Criticism faded over time with his 30-plus years of commitment to prison ministry. Chuck Colson himself never lost sight of the fact that he was a convicted felon. He also never lost sight of God's gracious forgiveness through Jesus Christ. Well done, Chuck Colson, well done ... and thank you! Your Life Sentence has only just begun! Great post! I have always admired Chuck Colson and have learned much from him. I remember Watergate very well. It was on the news every day. As a supporter of Nixon I was embarrassed by it. Recently I saw the story about Chuck Colson passing away. I had forgotten that he had become a Christian after Watergate. It's good to know that his life after Watergate had a positive impact on people. Thanks for reminding me about Rev. Colson, and relating how his ministry touched your life. God bless you, and may God keep you safe. Awesome post! "Charles Wendell Colson was acting like a radical new Christian because he was a radical new Christian." Love it!